What is most important in education? 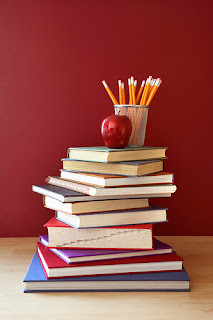 Each year as people head back to school there is an increase in articles on education. There are programs on TV about going back to school, education reform, and all sorts of other topics related to schooling. One book getting a lot of attention is How Children Succeed: Grit, Curiosity, and the Hidden Power of Character by Paul Tough. In it Tough speaks to the changes that have taken place our educational system over the past fifty years. He argues that our current obsession with test results misses an essential element of teaching our children. He states that character education in terms of learning life skills is being neglected to the hurt of many children. NPR's This American Life devoted the full hour of their weekly program to talking with Tough and I found the program very interesting. There is a lot of hope expressed in a trend that takes character, or cognitive development, into account in education. While the program mainly focused on high-risk student from poor neighborhoods there were some very interesting points made on aspects of parenting, issues of attachment, the ability of children to thrive in difficult circumstances, and much more. One stat that jumped out at me was that while American schools is still good at getting student enrolled in college, they fail to prepare them for college as seen in the fact that we have the highest college dropout rate in the developed world! That shocked me. While I think much of it has to do with high college costs and other factors, it cannot be ignored that many students are simply not adequately prepared. And I would love to hear from you. As you work with your children and students is college the ultimate goal? If so, how do you seek to prepare your student for the challenges they may face when they arrive on campus? Thinking back to online education, is that an option? And if college is not the ultimate goal, what other options are you exploring? Trade programs? Apprenticeships?